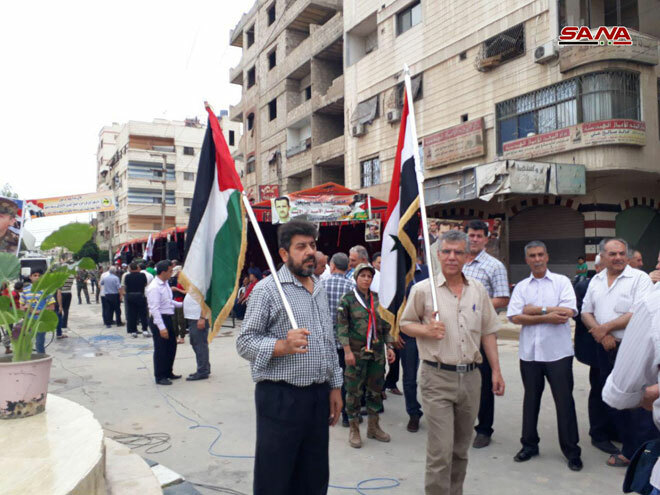 Damascus Countryside, SANA – People from the towns of Yelda, Babila, and Beit Sahm gathered in the Martyrs Square in Babila to take part in a public event in which the Syrian flag was raised in celebration of the return of state establishments to the three towns after the liberation of the south of Damascus from terrorism. 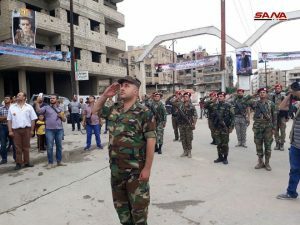 Damascus Countryside Governor Ala’a Munir Ibrahim said that all services will be restored to the towns and villages of Damascus Countryside as the displaced people return to their homes, noting that work teams have been working to repair the infrastructure damaged by terrorism and have already restored electricity in some areas. 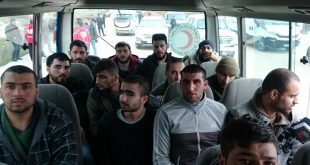 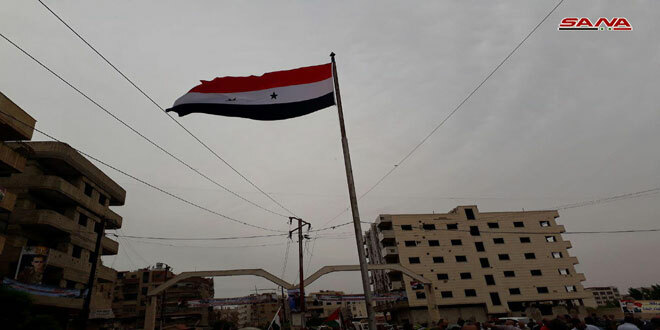 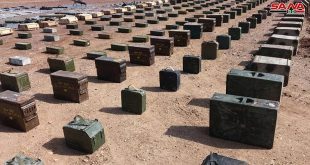 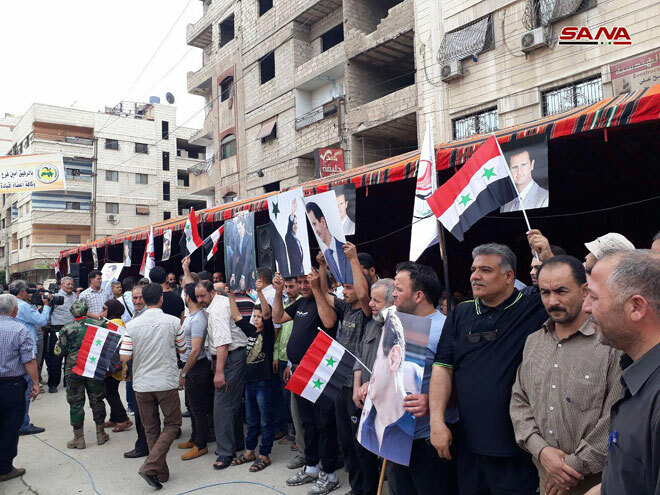 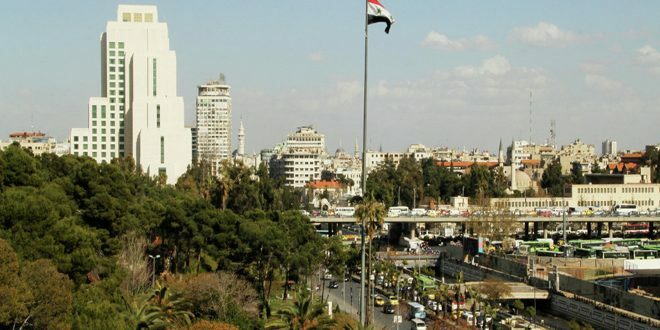 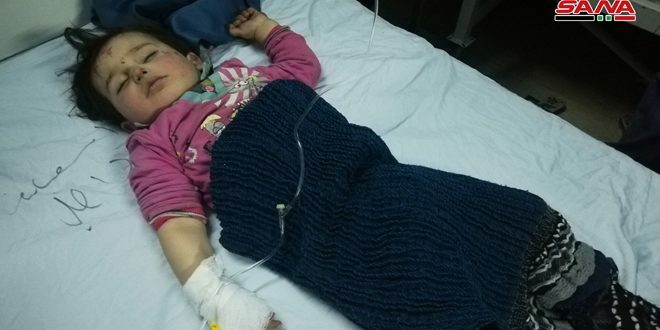 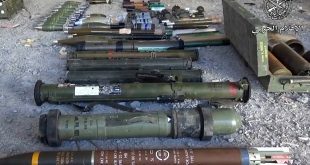 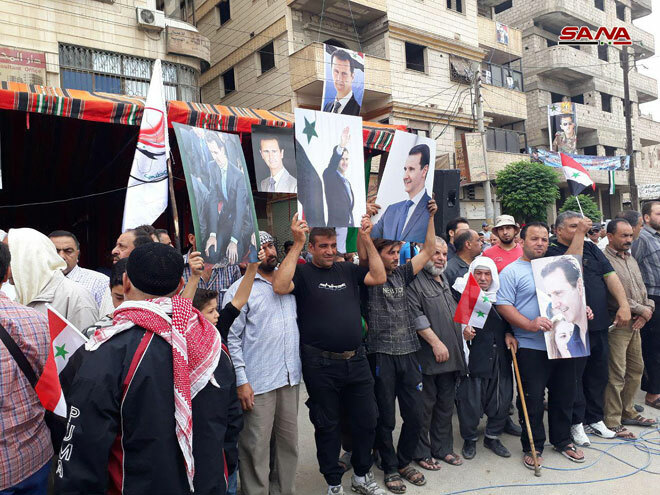 Yelda, Babila, and Beit Sahm were declared free of terrorism on May 10th after the terrorists acquiesced to the terms of the Syrian state, handing over their heavy and medium weapons and leaving to the north of Syria.